Each spring and summer I am bombarded with questions from women about controlling their shiny skin in hot weather. I have found a few wonderful new finds and can explain how to apply these new formulas to ensure your complexion stays smooth and oil-slick-free all day long. For ladies that suffer from large pores and oily skin, let’s remember the silver lining to this type of skin: You won’t age as quickly as those of us with a drier complexion. To shrink the look of your pores, begin your day with a good glycolic cleanser like Mario Badescu’s Glycolic Foaming Cleanser ($15, mariobadescu.com) for a fresh start. Next, use a sponge or your fingers to apply a CC cream that will protect, moisturize, even out and smooth the skin. I love the It Cosmetics CC Cream with SPF 50 ($34.68, qvc.com) for a flawless grease-proof complexion and a heavy dose of sun protection. Nanoblur ($19.99, trynanoblur.com) is going to be your real secret weapon. It’s a revolutionary skin smoother that erases the appearance of large pores, mattes skin down in an instant without ever looking chalky, and allows you to finally relax in the heat and humidity. Women with dry skin that might appear shiny in a few areas can mix it will a little moisturizer to combat these areas. 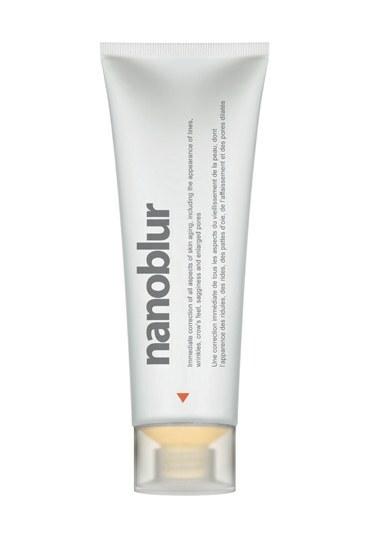 News about Nanoblur spread like wildfire in London and Canada where it launched and is now finally available in the States at Wallgreens. Lastly, dust on a bit of It Cosmetics Bye Bye Pores HD Silk Micro-Powder ($24, beauty.com) for smooth sailing all spring and summer.